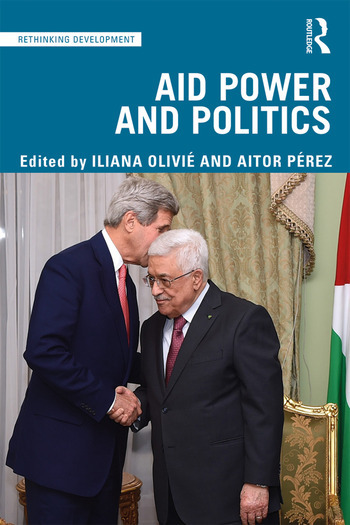 Aid Power and Politics delves into the political roots of aid policy, demonstrating how and why governments across the world use aid for global influence, and exploring the role it plays in present day global governance and international relations. In reconsidering aid as part of international relations, the book argues that the interplay between domestic and international development policy works in both directions, with individual countries having the capacity to shape global issues, whilst at the same time, global agreements and trends in turn shape the political behaviour of individual countries. Starting with the background of aid policy and international relations, the book goes on to explore the behaviour of both traditional and emerging donors (the US, the UK, the Nordic countries, Japan, Spain, Hungary, Brazil, and the European Union), and then finally looks at some big international agendas which have influenced donors, from the liberal consensus on democracy and good governance, to gender equality and global health. Aid Power and Politics will be an important read for international development students, researchers, practitioners and policy makers, and for anyone who has ever wondered why it is that countries spend so much money on the well-being of non-citizens outside their borders. Iliana Olivié is Senior Analyst at the Elcano Royal Institute, Spain, where she works on global development issues and coordinates the Elcano Global Presence Index. She is also professor in the Department of Applied and Structural Economics and History, Complutense University of Madrid. Aitor Pérez, economist and political scientist, works as consultant for UN agencies and international NGOs, conducting policy research and evaluation of aid-funded programs in developing countries. He is also Senior Research Fellow at the Elcano Royal Institute.